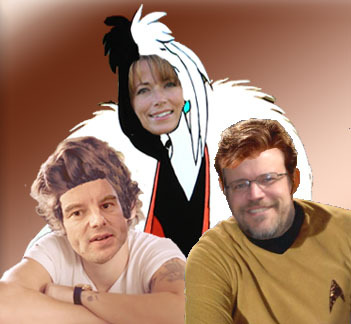 Dubbed the reformed Harry Styles, William Shatner, and Cruella De Vil, Carl, Todd, and Aimee set out on another spinning adventure. The MoS posse toss around ideas about the biblical concept of finding strength in the midst of weakness. As Christians, we must draw our strength from our brokenness, sinfulness, and weakness. How can pastors shepherd their flocks of weak, broken people as weak, broken people themselves? On a different note, how is Carl similar to Harry Styles? Will he be able to compete for some of Harry's fan girls? Enter the giveaway for your chance to win the audio series "Overcoming Adversity" by James Boice! This study from the book of Genesis focuses on the early life of Joseph. As a young man, Joseph experiences hardships of all kinds, from betrayal and rejection to temptation and loneliness. Through these dark years, Joseph kept his eyes on God, and his faith was strengthened. From studying Joseph’s life, you can learn how God is working in your own difficulties. You’ll see why God allows his people to suffer at times, and what he is doing through our pain. This six-part series is taken from Dr. Boice’s study on the 39th chapter of Genesis.